Full disclosure: I am a recovering accountant. I picked my major because I excelled at math. (I was also good at shopping, so marketing was a close second.) More than 30 years ago, when I first learned about debits and credits, I heard one of my professors repeatedly say, “Cash is king.” And yet, accounting is the red-headed stepchild of the startup world. Well, welcome to Accounting 101. I have heard and read many stories of spectacular failures, where one day the founder wakes up and his or her bank account is empty. Entrepreneurs regularly lose sleep over dwindling funds. Fortunately, I’m in the startup industry, and like I said, I’m a recovering accountant. Thus, I thought I’d review accounting basics for entrepreneurs. In this article, I’ll cover how an income or profit and loss (P&L) statement works, what’s important on the balance sheet, and how it all fits together with a budget. Accounting is the process for recording and tracking your operations, and sometimes people discount the values of a bookkeeper and financial statements because everything that is being reported occurred in the past. The financial statements are your management tool, but only when used with targets in the form of a forecast or budget. For example, if your financial statements show revenue of $10K last month, how do you know if that is good or bad? You must create a budget and plan for the year, and then break it down by month — but don’t simply divide your total budget by 12. Instead, plan monthly revenue and spend based on the natural cycles of your business. On the expense side, start from zero each year to build up your costs. In other words, do not take last year’s spending and just add or subtract items. Your profit and loss, also called an income statement, will show you all the revenue or income and all the expenses to give you a profit, bottom line, or net income. Expenses can be divided into overhead expenses, like marketing, rent, or office supplies, and costs of goods sold (COGS). The latter includes expenses directly associated with providing your product or service. For example, website hosting is a COGS for an online software company and fabric is for a clothing manufacturer. You will compare your budgeted revenue, expenses, COGS, and net income versus actual amounts every month and adjust your operations accordingly. Understanding which expenses are fixed versus those that you can reduce or eliminate will help with any adjustments. For example, if your office space is a three-year lease, that would be a fixed cost. If your space rental is month-to-month, then it’s variable because, if you can still operate, you can avoid the rent for a few months. Not to get too technical, but you must understand how your financial statements are prepared to properly interpret the results and set your budget. 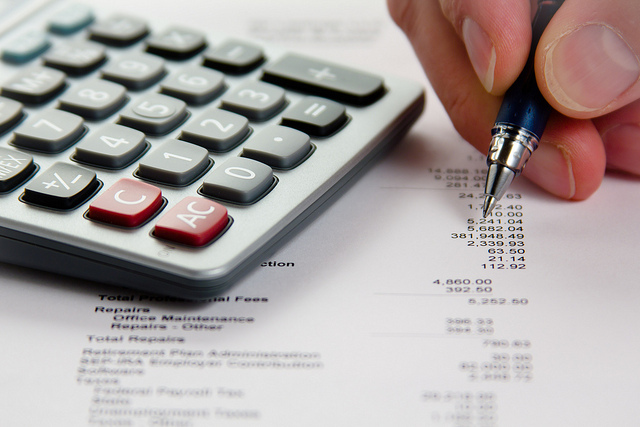 It boils down to whether you account for your business by the cash or the accrual method. The cash basis means that you record revenue when the money is received, regardless of whether you have done the work or shipped the product. It also means that your expenses are only recorded when the check is written or the payment is made, not when you commit to the expense. So, the revenue might come in a completely different month or quarter than the expenses associated with the sale depending on your business. For these reasons, most businesses use the accrual method, which better matches the revenue and expenses. You have a policy for when you recognize revenue, usually tied to doing the work or providing the service, and you record your expenses when a commitment is made, like when you agree to pay someone or sign a contract. When you are using the accrual method, your revenue to be collected is called accounts receivable (A/R) and the expenses are called accounts payable (A/P). Your goal is to collect the A/R faster than you have to pay the A/P. Remember if you pay your employees every two weeks and your bills within 30 days, you must collect your revenue just as fast otherwise you must borrow money or use up any cash on hand. That brings us to metrics. Once you are tracking your performance, you look beyond the bottom line to some ratios and key performance indicators (KPIs). Look at your gross margin — which is the revenue minus COGS — as a percentage of revenue. That percentage is compared to your budget and prior performance as well as industry standards. By benchmarking your KPIs against the industry, you may discover inefficiencies in your business. Cash collection must be monitored using an aged version of the A/R listing. Each week or month, you should follow up on the A/R over either 30 or 60 days, depending on your terms. Following the cash outflows is equally important, and you need to review all payments to ensure that there is enough cash in the bank. These metrics can be set up as leading indicators, so that you are not caught short on cash. A final word on training: it’s not just for you but for your employees, too. Everyone in business needs to understand how the company makes profits and the part that they can play in the success. Take a basic course, find a mentor, and ask advisors. Do whatever it takes to understand the money side of your startup.